2017 Land Rover Discovery - everything you need to know | What Car? The new Land Rover Discovery will be revealed at the Paris motor show later this month. The image you can see above is what the front end will look like, but for now Land Rover is keeping the rest of the car under wraps. It’ll go up against the likes of the BMW X5, Mercedes-Benz GLE and Audi Q7, as well as the Volvo XC90 when it goes on sale in 2017, but in an increasingly crowded large SUV segment, it’ll also have to fend off high-end versions of the more keenly priced Renault Koleos, Nissan X-Trail and Ford Edge among others. Here’s what we know about the 2017 Land Rover Discovery so far. What is the new Land Rover Discovery? 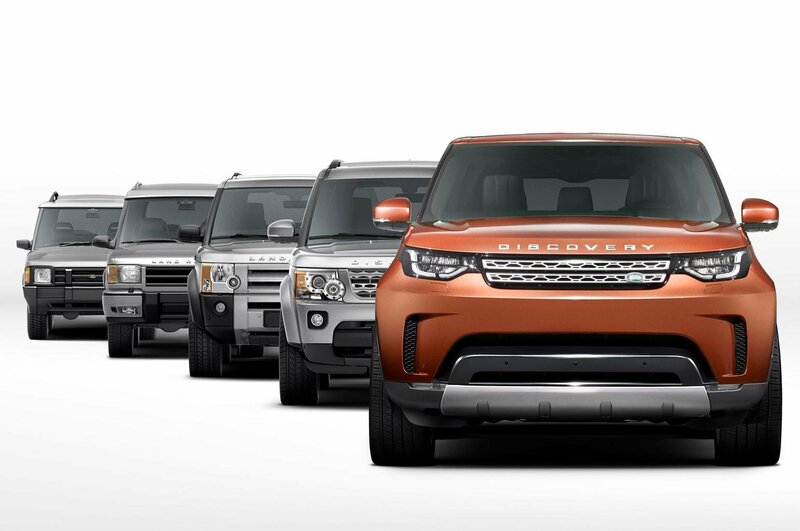 The Discovery is Land Rover’s largest model aside from the Range Rover. It’s a serious SUV, meaning that proper off-road ability is guaranteed, even if it won’t be used by the majority of Discovery owners. The video below showcases some of the off-road testing that Land Rover has conducted for the new Discovery, with the car taking on sand dunes, ice fields, mud and rivers. It sits above the smaller Discovery Sport, and in its current form starts at £47,495, which puts it in direct competition with the BMW X5, Audi Q7, Volvo XC90 and Mercedes-Benz GLE, as well as less-established rivals like the Lexus RX and the Jeep Grand Cherokee. What engines will be available in the new Land Rover Discovery? It’s expected that the next Discovery will come with the 2.0-litre diesel engine that features across multiple Jaguar and Land Rover cars. It’s also very likely that the V6 petrol and diesel engines that power some of the Range Rover line-up will also make their way into higher-spec Discovery models. What will the interior of the new Land Rover Discovery look like? Jaguar Land Rover wants to take the next Discovery upmarket from the current model, so a plusher interior is almost guaranteed. There will also be the option of seven seats, so the car will retain the practicality with which the Discovery name has become synonymous. Interestingly, buyers will be able to fold the middle and rearmost rows of seats up or down using a smartphone app. This can be done from anywhere in the world, and takes 14 seconds. Land Rover's promotional video, below, shows brand ambassador Bear Grylls controlling the new seat function from the sky. 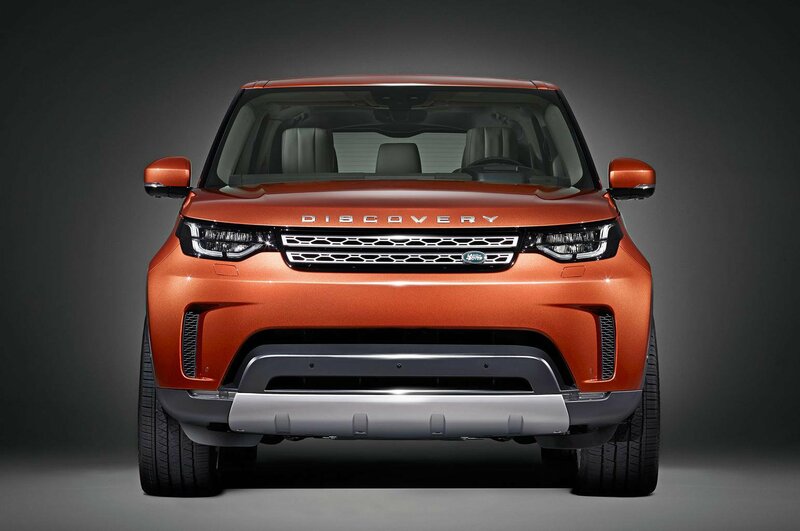 Land Rover previewed the new Discovery in the Discovery Vision concept car, which the teased production model closely resembles from the outside. The concept featured a minimalist interior, which, to a degree, will also feature on the production model, albeit not quite in such a minimalist form as the concept suggested. Land Rover has confirmed the Discovery will offer nine USB ports inside, as well as enough secure storage space to hide four tablet computers. Other than this, there’s very little information about the interior of the new Discovery, so it remains to be seen what it’ll look like when the car is officially revealed. What else is on the new Land Rover Discovery? All-wheel drive will be standard, as the Discovery will be the most off road-focussed model in the Land Rover line-up now that the Defender has been discontinued. 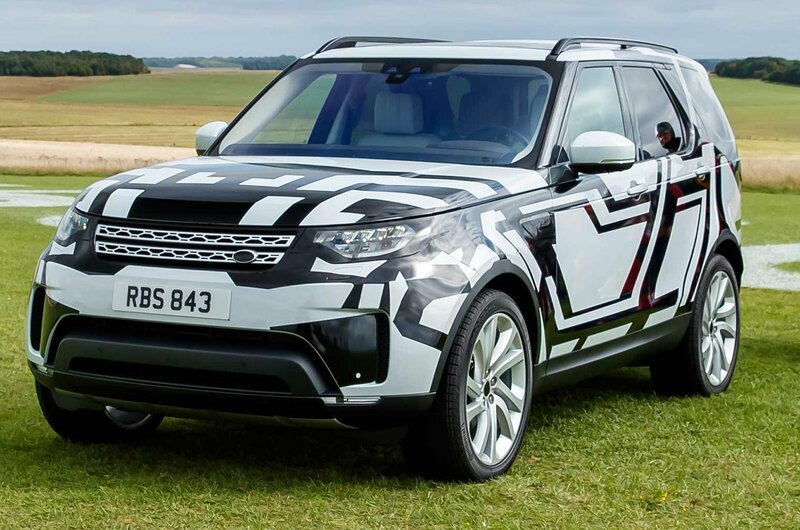 The Discovery is also said to be Land Rover’s new proving ground for its up and coming technologies, meaning that lots of semi-autonomous features are a given, as the car industry moves more towards self-driving tech. An SVX-badged version of the Discovery is also on the way; SVX being the extreme off-road arm of Jaguar Land Rover’s Special Vehicle Operations. When will the new Land Rover Discovery go on sale? The Discovery’s official full reveal comes at the end of the month, when we’ll see all of the car and learn about the full engine line-up. It’s likely that we’ll learn about the car’s list of featured technology too, before the full list of prices and specs are released by Land Rover. Land Rover will start taking orders just after the Discovery’s reveal at the Paris motor show, with the first deliveries slated for Spring 2017. How much will the new Land Rover Discovery cost? 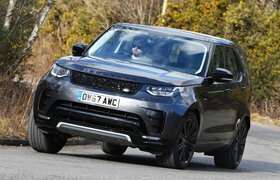 Land Rover remains tight-lipped on how much the new Discovery will cost, but the new technology that will feature on the car, as well as Land Rover’s ambition to push the car upmarket, means that a considerable increase over the current car’s £47,495 starting price is inevitable. Watch our video review of the current Land Rover Discovery below.